Coinsquare announced that it will be launching its first stablecoin called eCAD. The newly introduced stablecoin is Canada’s first stablecoin and each eCAD is pegged to the Canadian dollar. 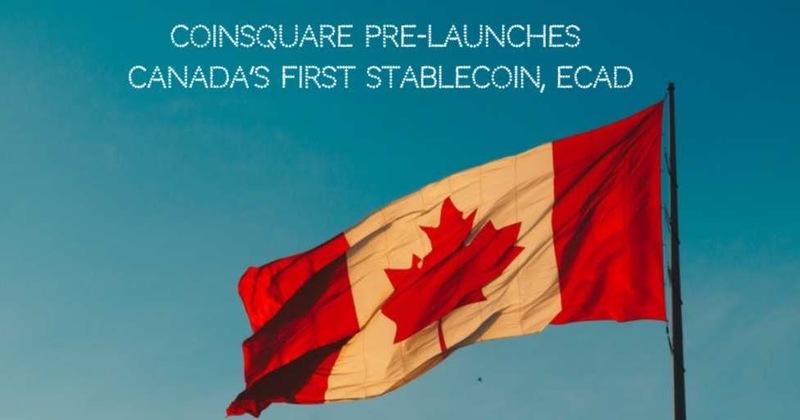 Found in 2014, Coinsquare claims to be a premier cryptocurrency trading platform for trading Bitcoin, Ethereum, XRP, and other digital currencies, in Canada. It has raised a total of USD $53 million till date.